YINEME Sport Bluetooth Headphones, We are born for sport. We got tired of wasting money hyped up and making much more false review to in exchange for your trust. We would rather spend the money on the improvement of our products and provide more better service. We hope you can see our honesty and identify with our business philosophy. Through our in-depth research and continuous technological improvement,we finally deside to launch this product. ----YES! ,It is EB826 Sport Bluetooth Headphones，specially designed for sports men and women.It is really a magical product ! - HIGH-DEFINITION SOUND - extra heavy bass , super-crisp treble. - PASSIVE NOISE CANCELLATION - with 3 ear-tips. - LONGEST PLAY TIME - Up to an incredible 8 HOURS of play,220 hours standby time . - Universal COMPATIBLE WITH - All devices with bluetooth. ◆REAL HD STEREO DEEP BASS SOUND◆ We set out to create the ideal headphones, ready to respond to all the challenges of modern life. Latest Bluetooth 4.1 CSR , DSP technology and built in Microphone.True HD sound, an unparalleled bass response, and serene noise cancelling - all with seamless wireless Bluetooth connectivity. ◆MENS WOMENS SPORT HEADPHONES◆ We are born for sport! Designed both for men and women who like gym running,cycling workout hiking exercise, we appeal to an active life style. 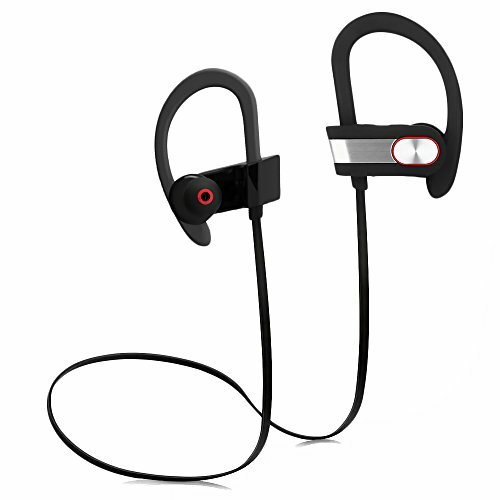 ◆COMFORTABLE EARBUDS AND STABLE EARHOOK◆Designed to be the very best Bluetooth earphones for sports. Modified earhook design gives you extra comfort . They won't fall out even on your wildest workouts activity! Run and sweat your heart out! Our running headphones are IPX5 WATERPROOF and SWEAT-PROOF. Whatever your favorite activity is, your perfect sports companion is here! ◆UNSTOPPABLE BATTERY◆ Assist you in your running, cycling ,meetings, calls, self-development and more - for 8 HOURS straight and 1.5 Hours of charge FULL OF LIFE IMPROVING FEATURES - instant pairing, multi-device connectivity, automatic reconnection and more! ◆100% SATISFACTION GUARANTEE◆ Smash your goals with YINEME Bluetooth headphones or we'll refund you! LIFETIME WARRANTY & 30-DAY RETURNS makes this a zero-risk purchase. If you have any questions about this product by YINEME, contact us by completing and submitting the form below. If you are looking for a specif part number, please include it with your message.